Brown continues to be the theme in my accommodations. 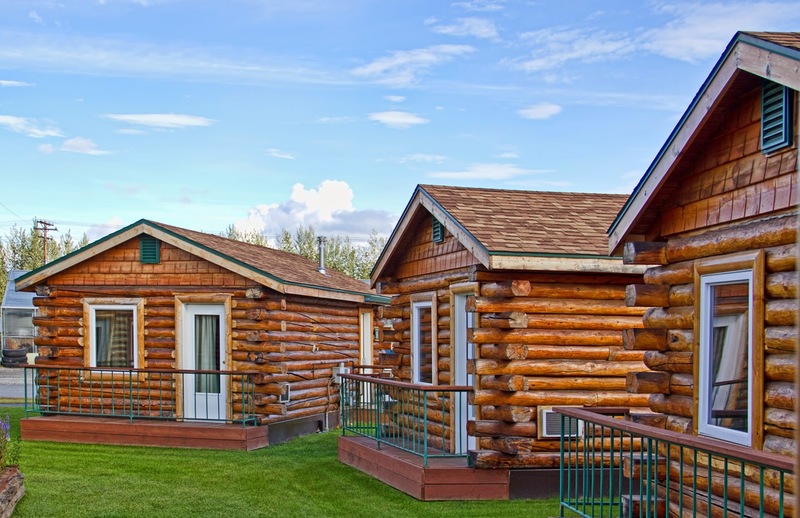 But here the brown is in the form of cute little log cabins, which I'm lucky enough to be staying in instead of in the main lodge. The wireless is slow though, and after tomorrow morning I won't have any internet access at all until next week. I still have several draft entries for Seattle to post, plus many pictures of Fairbanks from today.